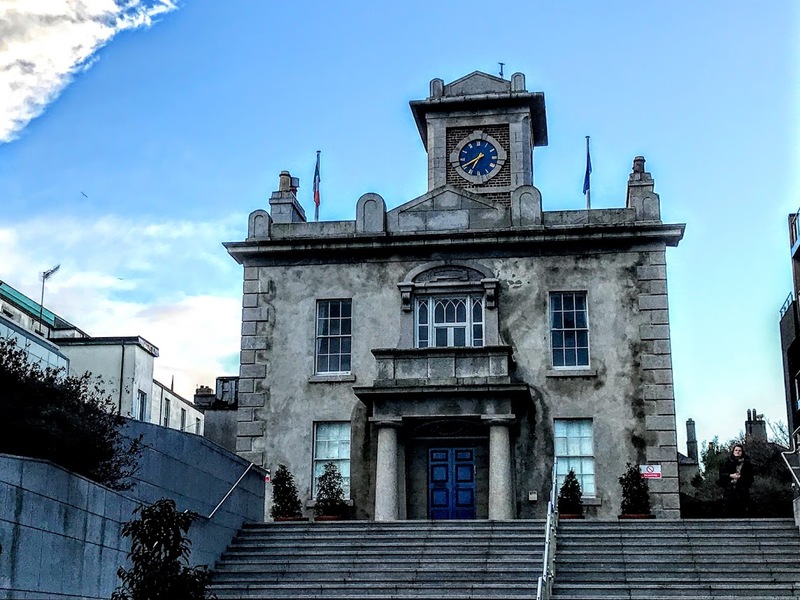 A recent RTÉ Sunday night television drama series, Striking Out, used the Harbour Commissioner’s House in Dun Laoghaire as a setting or location for a court house in some episodes. 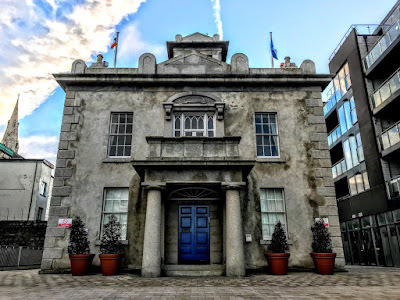 On a recent visit to Dún Laoghaire, I decided to have another look at this 200-year-old building across from the Dart and train station but often overlooked by visitors because it is tucked away behind the town hall and modern office and shopping developments. 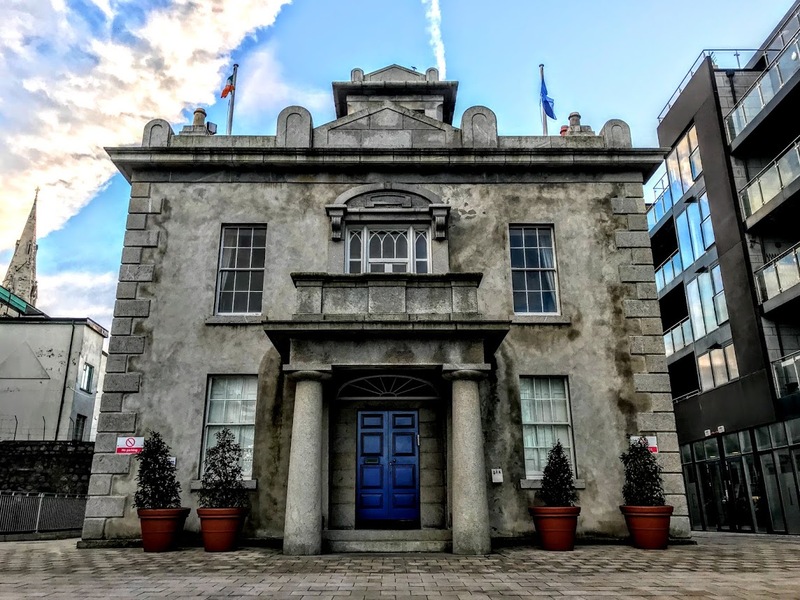 This building, also known as the Harbour Master’s Lodge, was built in 1820 in the neo-classical style with Dalkey granite. It is immediately recognisable on television because of its unusual staircase and its clock tower with signalling turret. The Harbour Master’s Lodge was built by George Smith in 1820 for the then princely sum of £330. The appearance of the lodge, with the robust and sturdy presentation of its granite façade, is a contrast to the exuberant appearance of its more recent neighbour, the Town Hall, which is faced with a softer warmer stone. Originally the lodge had a dining room, drawing room, hall, maid’s room, kitchen and scullery. The Clock Tower, a two-storey sculpture, is made up of brown brick work with granite dressing. Captain William Hutchison (1793-1881), from Co Kildare, was the first harbour master of Kingstown. He also acted as coxswain of the Dublin port lifeboat based at Sandycove. Hutchinson was a lieutenant in the Royal Navy before he was appointed Inspector of Bulloch Quarries, Pilot Master of the Port of Dublin and the First Harbourmaster of Kingstown (1817-1874). He was also a Justice of the Peace. Captain Hutchison survived the wreck of the Sandycove lifeboat at Sandycove on 28 December 1821. Four of the crew were drowned when it was upset. They were going to the assistance of the Ellen of Liverpool, which eventually drove ashore and its crew was saved. The brig Iron Duke was driven ashore in an easterly gale at Sandycove on 14 August 1829. The Sandycove lifeboat, with Hutchison, three coastguards and nine others, saved all eleven men, women and children from the wreck. The Iron Duke was smashed to pieces immediately after they had completed the rescue. Captain Hutchinson’s son, Lieutenant W Hutchison junior, received an RNLI silver medal and a Tayleur medal for his part in the rescue work on 9 February 1861 when two coal boats were wrecked at Kingstown pier. During this rescue, Captain Boyd and five of his crew were drowned. An obelisk commemorates them on the East Pier in Dun Laoghaire, near the spot where they drowned. There is a plaque in memory of Captain Hutchison in the Mariners’ Church, Dun Laoghaire, now the Maritime Museum. A proposed rebuilding of the Harbour Lodge by ET Owen of the Board of Works in 1881 was never carried out. In recent years, the Dun Laoghaire Harbour Company has used the lodge as its head office. When the Harbour Company began developing the Harbour Yard, it decided to restore and extend the Harbour Master’s Lodge as the centrepiece of this modern office and residential complex. The harbour company vacated the building during the Harbour Yard development, offering an opportunity to renovate and restore the interior of the lodge and to build a modern two-storey extension to the rear, occupying the entire area of the original garden. The lodge is a protected structure, and it was a condition of the planning permission that the original garden walls should be retained. To provide light into the ground floor of the new extension, window slits had to be carefully formed through the 600 mm thick rubble walls by installing new steel heads. Considerable underpinning was also required to enable the construction of new foundations for the extension, which was to be structurally independent of the original building. The new extension was formed by a steel frame and wide slab floors to allow hasty quick construction – there was only a small window of opportunity to complete the development work before the site becoming virtually land-locked by the completion of the Harbour Yard development and a new concourse in front of the lodge. After 190 years, the fabric of the lodge was in remarkably good condition. 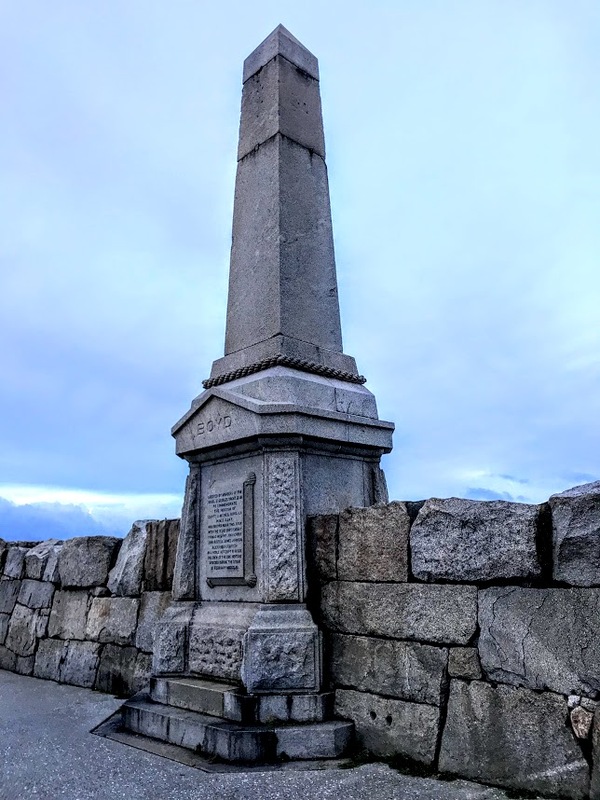 During the restoration work, the clock on the tower was also restored, and it now provides an accurate timepiece for all walkers on the East Pier in Dún Laoghaire.